Michael has lived his life through the lenses of a camera. As the son of a photographer, he began his career by sweeping darkroom floors and mixing chemicals. He went on to study fine art and film at the University of Maryland. With a unique combination of art, education and experience, Pohuski became a photographer and film director specializing in food, beverage, and still life photography. 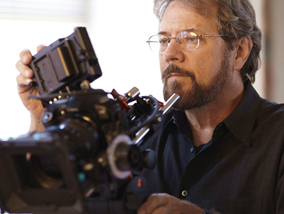 He is known for a dynamic use of light in his stills and an artistic look to his motion projects. Michael has an intense curiosity and pursuit of knowledge that is reflected in the quality of his work. Every production is undertaken with great attention to detail, from the pre-pro to download. His work has earned countless awards but more importantly, results. The team’s tireless work and commitment to the end product has created great lasting relationships with all of his clients, as they return again and again. Please feel free to contact Michael to initiate your commercial food photography or food advertising project. Michael and his wife live in Annapolis Maryland where the light is just right.